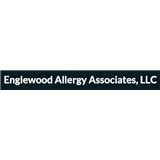 Englewood Allergy (Englewood) - Book Appointment Online! It was my 1st visit and I was greeted by Fran and Molly. They were extremely congenial and I finished up with the paperwork. I had completed most of the paperwork online which saved so much office time. I didn't have to wait at all and met Dr. From right away. He spoke to me for a lengthy time about my problem and reviewed my entire health history. He then gave me a physical checkup and was very gentle, knowledgeable, thorough and quite genuine in trying to help me. Surprisingly for me, I was totally at ease since I had never see an allergist before and didn't know what to expect. I had been nervous about this appointment but, as soon as I met him, I felt entirely at ease and knew I had chosen one of the best professionals in this area. I highly recommend him and am looking forward to my next appointment. I have no doubts that he can help me.